The JapaneseAdobo Doctor’s Bag is created for the ladies who like to carry a lot of things in their purse but still gives an illusion of carrying a small bag. 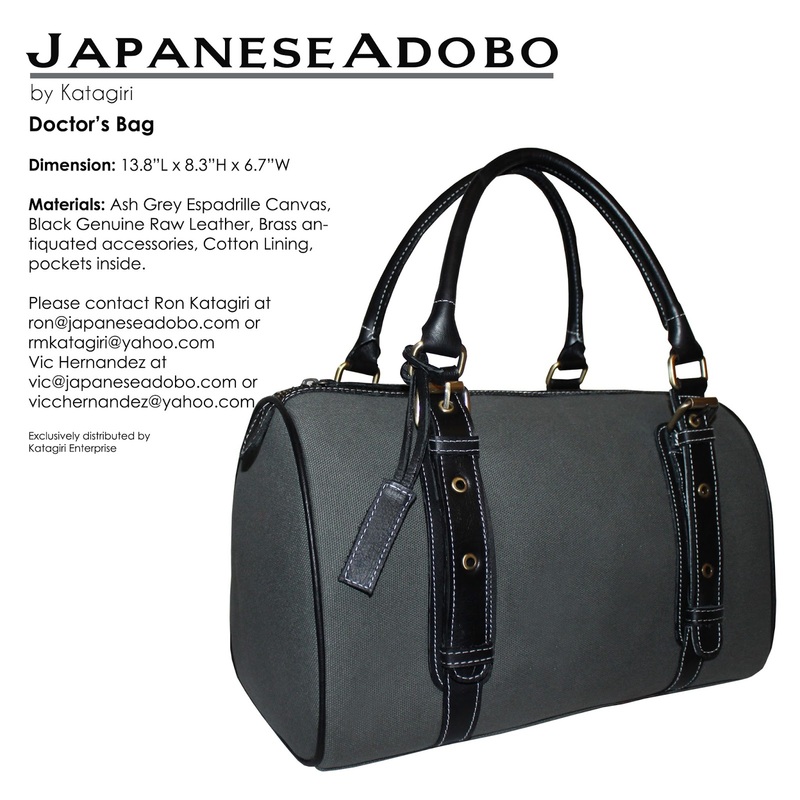 The genuine leather handles are adjustable to 3 drop handle sizes. Structured with clean finish, the bag is perfect for an everyday purse for the office, school or business. 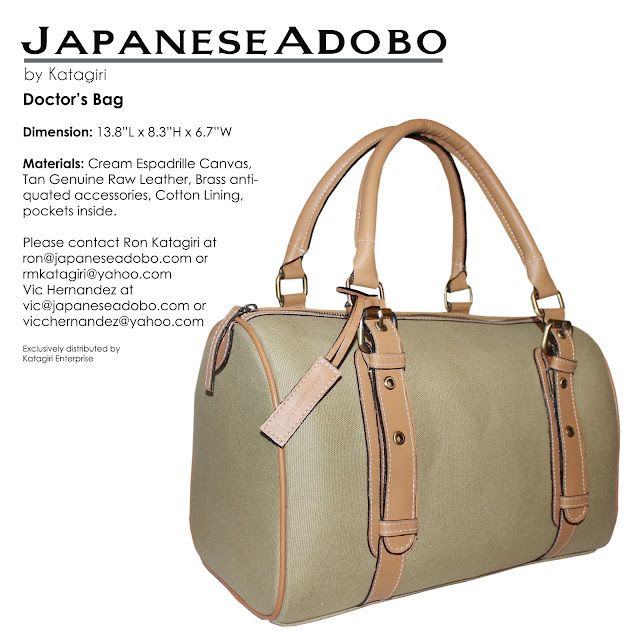 Hand made from Marikina, the technology used to make a bag is the same as how a pair of shoes is made where each part and layer of the bag is glued before sewn together to achieve a structured finish. It takes a maximum of 45 days to make a bag. Initial 50% down payment would be through a bank deposit at BPI. Should it be ready before the 45 day-period, we will notify you immediately. 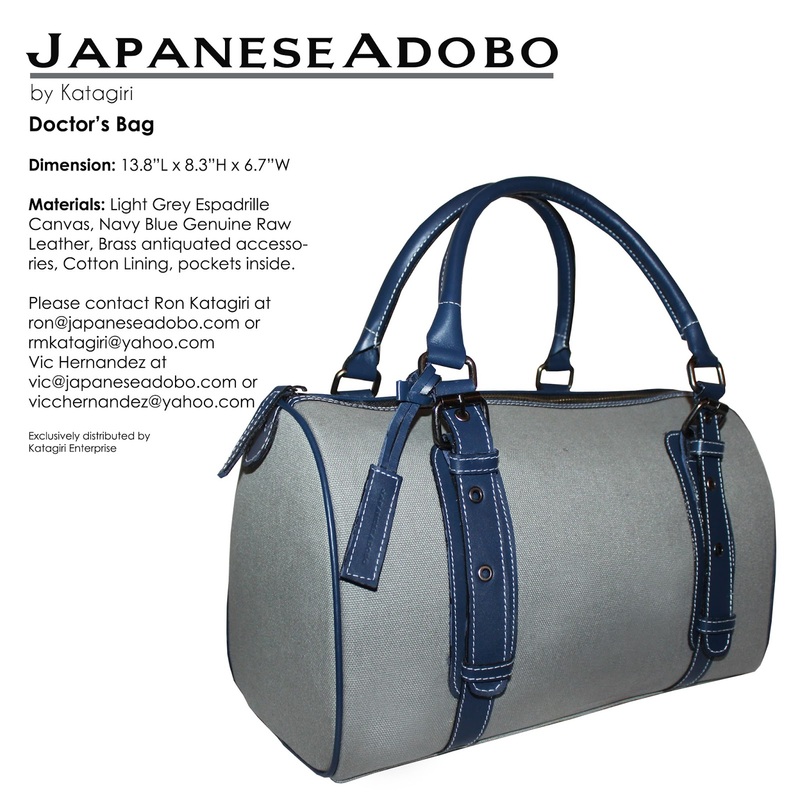 The bag is delivered personally through a meet up at Eastwood, Ortigas, or Sta. Lucia Area. You can also pay us using your Credit Card online thru Paypal. Check out the designs and size and process the full payment. Production period, domestic shipping, shipping time and VAT applies. Delivery is only available within Metro Manila.